It might not be the determining factor that will point you towards the right direction but the experience is a huge factor in your search for the right real estate agent. You’ll find a huge assortment of real estate agents in your search – from the newly licensed ones to the more experienced veterans. Ask them politely how long they’ve been in the business. Experience is a good indicator of knowledge and it’s a key factor. What plans do you have in store for me? If you’re in the market to buy a home, you’ll want to have the best deal around. This includes the best property at the best price. Ask your agent how he plans to get you the best results. 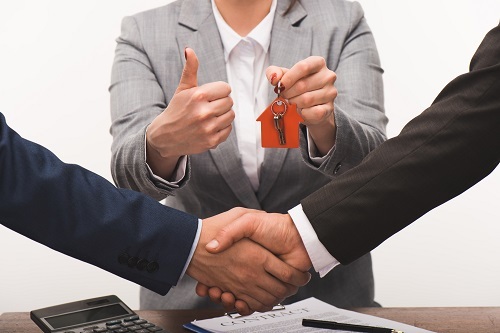 After all, when it comes down to it, your agent’s strategy will have the greatest impact when it comes to closing the best deal. References will tell you just how legit your agent is. Even the newer ones have them. Ask your agent if it’s possible for you to call those reference persons for additional questions. However, reference persons won’t be a requirement if you can find a lot of reviews for the particular real estate agent online. What are the things that set you apart from the competition? If your prospect agent doesn’t respond well to this question, you might be better looking elsewhere. Everyone has their own strength and weakness. This also applies to your agent. Ask him or her to give a few things that make them a better option for you. Can I see the documents to be signed ahead of time? It’s good practice for real estate agents to be transparent about their work. That includes providing you with the documents you are supposed to sign beforehand. That way, you can be informed ahead of time, avoiding any pitfalls or unwanted terms in the contract. You will most certainly get what you pay for when it comes to dealing with real estate agents. As an average, agents get a 1-4% cut. That’s not including the fees for the listing agent which could range anywhere from 3-4%. Knowing this beforehand will save you a lot of money in the long run. Ask the agent if they offer any guarantees for their customers. If you don’t like how the deal is playing out, it’s always good to have the option of backing out. Ask your agent if they support this. Looking for a reputable real estate agent to help you in closing a deal? Call Full Potential Real Estate today.